For younger children (4 and 5) there is the Little Mozart class, designed as a great introduction to piano playing. Much of the work is based around singing and rhythm work to develop all important musical skills, prior to the introduction of playing. 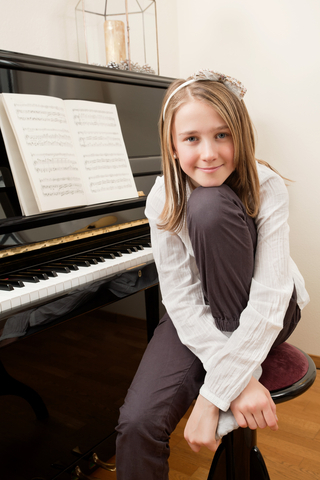 Keyboards and pianos are used with the keys weighted especially to suit the small and still developing fingers of this age group. The learning follows the same methods that we all use when learning to speak - we listen, we repeat back the words we hear, we understand their meaning. From here pupils can progress with a really solid grounding in key musical skills. 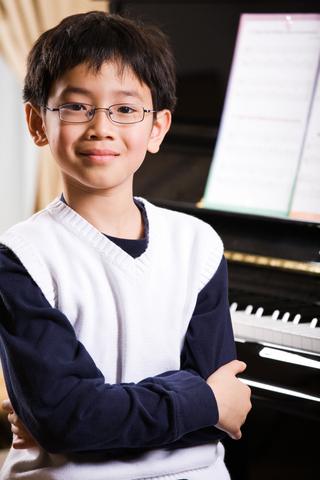 For students who begin playing at age 6 and 7. 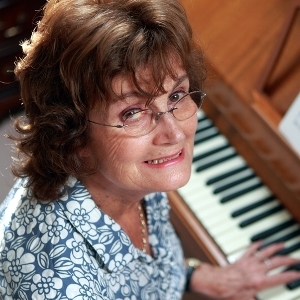 The same principles as the Young Musician class are used, but structured to suit this older age group. Note reading and a thorough grounding of musical knowledge are crucial to progress, which is very much part of the study. Before long students will be able to take their first exams, if they wish. For children age 8 to 12, these classes use the same ideas incorporated in the other courses, again with an approach suited to this older age range. By this age, students normally progress at a faster rate than the junior classes, and the material and approach reflect this, using books from the Alfred Publications Later Beginner series. For teens and adults wishing to play for the first time, and those wishing to return to playing, we have classes catering for these ages. A word of caution! Many adults like the idea of playing but can't commit to the time it takes to do well. So if you are thinking of learning to play, think about the commitment that learning will mean and whether you will be able to make that commitment. If you can, then just get in touch! And, if you have a youngster, you can help them play too. Beginners would normally join when a new class starts. All new classes are for designed for beginners, of whatever age. 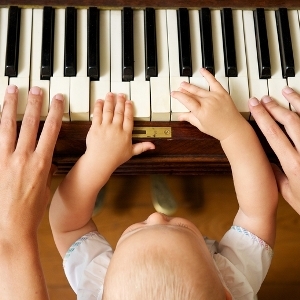 To start the musical journey, why not check out the Three Steps to Learning? If someone has been playing for a while, they can join an existing class - we'll arrange for an assessment with one of the teachers to see what would be best. A range of lessons to suit pupils of all ages and abilities. Whether a beginner or someone who already plays, we've probably got something for you. Structured lessons that teach all the key musical skills needed to play any musical instrument - sight reading, technique, theory and of course playing. Accredited Grade Exams to give focus. All the courses lead to accredited Grade exams from Trinity College, which are an optional extra. To make them the best experience as possible, exams are held at the school, which is a Registered Exam Centre in its own right. Concerts for a real sense of achievement. Music is all about performance. After, if no-one performed we would having nothing to listen to!